The product itself retails for £7.99 from Boots, which may seem a little pricey but it is often on a 3 for 2 offer and also lasts a long time as you only need to use a little bit between shampoo and conditioning once a week. The main thing I love about this treatment is how thick, rich and creamy it is and how soothing it feels on the hair and scalp, which is good as you do have to leave it on for 5 minutes. Perhaps because of how thick it is and the fact the formula is protein based I can really notice the difference when I use it on my hair both in the shower and after blow drying, as it leaves my locks feeling silky, smooth and in much better condition, so it's worth buying even just as a conditioning treatment. It also seems to reduce breakage and add volume and texture to my hair so it's great to use before styling. As you can see from the text on the packaging Mr Stafford does claim rather a lot of big things with this little pot and I can't really tell you if it 'penetrates the inner cortex' of my hair, but after weekly use it definitely improves its condition and in turn I think helps it to grow longer despite the constant abuse I give it from heat tools and hair dye. The only criticism I have is the slightly strange peppery 'Lee Stafford scent', but as you can put on a beautifully smelling conditioner after using it the scent doesn't really matter too much. So now for the big question, does it work? Yes, I think as much as a hair growth treatment is ever going to work, it does and I'll continue to use this as a deep conditioning weekly treatment until I've got hair like Rupunzel. Or Cara Delevingne. Have you tried this treatment or have anything else to recommend for growing hair? I'm back into the swing of uni now after my weekend away and today I've got a seminar and rehearsal for our next musical to go to so I best go and get ready, so jealous for people getting ready for London Fashion Week instead of poetry discussions right now. Have a lovely day everyone! I think im the only one in my family who hasn't tried this, everybody seems to love it though so maybe i should give it a go! 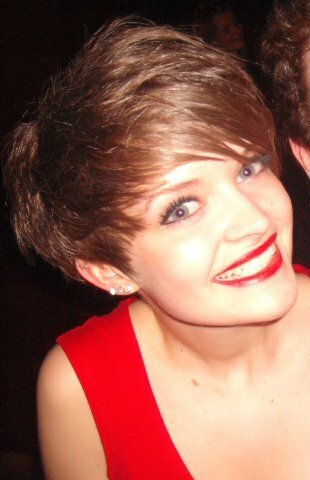 I got a little pixie crop when I was 17 and at 22 it seems like im still growing it out!!! Heard lots of positive reviews about this, I might just have to do a 3 for 2! WOW Your hair has drown loads!! Wow, I want to try this.. I've been using castor oil and that's working well but it gets on my face and i break out blah! I've used this a lot and I think it really does work, it's difficult to know whether it's just my hair growing or if it's the product though, also I love the smell of it! Forehead is too narrow or wide, causing an unnatural appearance. Get the calculation of the age factor of openness should be designed very well. Age-appropriate frequency must be set as hair, wet hair transplant should not be done with a frequency that is incompatible. Hair fall now a days common complaint.Junk food ,malnutrition,dandruff, hard water,lack of sleep, stress are the main causes for hair fall.you can see this for better solution . I recently got a successful Hair Transplant in Chandigarh and my self confidence is higher than it has ever been! It's such a relief to finally find something that works. People who are suffering from hair loss or baldness and want to get the permanent solution, must go for hair transplant surgery. It is the best surgery recommended, which gives the permanent solution to baldness. The way of minimizing the hair loss could be done in many ways. The easiest hair loss solution is, by using the Hair loss conditioner, lotions and conditioners. Our anti dandruff treatment in Hyderabad and hair fall treatments reduce to control dandruff and hair fall. We also offer white hair treatment and treatment for hair problems.